There are some rumours doing the rounds that Games Workshop are indicating the end of Specialist Games. The story appears to be that they are running out current stocks but these will not be replaced. So if you play Bloodbowl, Necromunda, Mordheim, Battlefleet Gothic, Inquisitor, Warmaster or Epic now might be the time to make your purchases. Once stocks are gone eBay might be your only source. I'm disappointed if this is true as I love the Mordheim models and try to include them in my armies wherever possible. My Vampires, Skaven and Empire all have Mordheim models sprinkled through them. I'm wondering why, if this is correct, GW would go down this route. Given they are all Direct Only you would think the infrastructure to support them isn't large. This Saturday is the monthly Warhammer Fantasy Day at the Wellington Warlords. These days aim to build the Wellington Warhammer Fantasy community by providing a designated day when you can attend the Club and be sure of getting a game (or three) of Warhammer Fantasy. They are always scheduled for the first Saturday of the month. 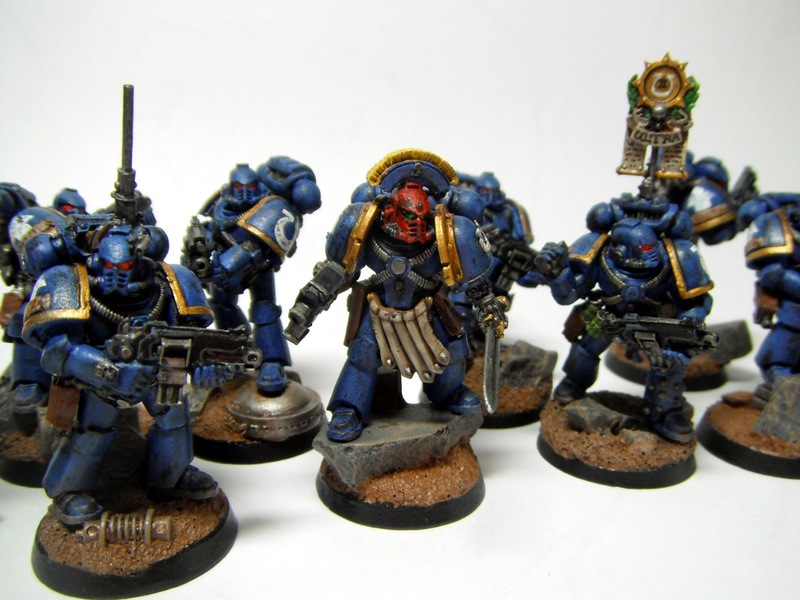 Bring along an army of 2400 points or 1200 points and be sure of getting a game. The Club is open from 9.00am until 5.00pm and is situated at KPC Church Hall (opp. New World on Ganges Rd, Khandallah). This weekend we are being visited by the Kapiti Club so you can be sure that there will be plenty of options for games. 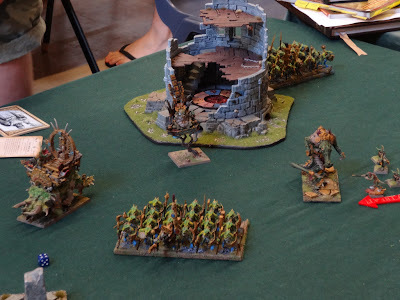 Over the weekend Runefang VI was run in Wellington and I took a Wall of Crap (tm) Skaven list to the event. Going into the event I worked out that the field would have four Lizards and 4 Dwarfs. The Dwarfs are a tough matchup for Skaven to get points from. They were therefore a concern as well as the Empire list (very strong) and the two Vampires. There was also a strong OK list which withdrew on the morning. With the other armies I felt I had the tools and the experience to deal with most situations. I'm going to say upfront I got lucky and missed all four Dwarfs, the Empire and the Vamps! The Little Rat in the title was my Level 1 Engineer with Doomrocket and Condenser. Runefang VI was held over the weekend in Wellington. 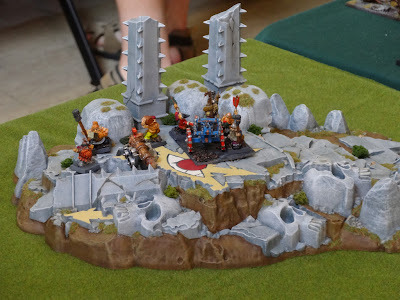 It attracted 27 players using 2400 point armies battling over five games. The Rulebook scenarios (sans Battle for the Pass) were used. Thanks to all the participants and special thanks to Peter Williamson who gave up his weekend to umpire. See you all at Horned Rat VI in June. I've also started work on the Chariot Corps for my Daemons. Here is a WIP on the three different Slaaneshi chariots - Exalted, Hellflayer and Chariot. My plan is to use Juan Diaz Daemonettes as crew. Over the weekend I based and trayed 50+ Horrors for my Daemons of Chaos. These are the old - 3 editions back - Horrors with the big hands. I love the goofy little rascals. From here I am planning to give the spots and claws a further 1-2 highlights but wanted to get them to usable condition. Having read through the Runefang VI lists while having lunch I decided I rank the Top 5. This is based on fighting all-comers rather than against my army. Of course I'm not including any Dwarf lists as to be honest I didn't really read them - just counted scrolls and warmachines. Solid Skaven list with a solid backbone. There are some selections where I'm not sure as to the reasoning behind them but different folks etc. Expect Hamish to definitely be in Top 10 possibly pushing the Top 5. Apart from Dwarfs, probably the world's most annoying list. Difficult to see Jeff losing big with this but it will be interesting to see if he can get the big wins that eluded him at Natcon. List lacks a can-opener but gives away points sparingly. Very strong list that will grind out wins in most situations. The big Manstar is interesting and I think a very good choice. Army plays very wide and is extremely fast. I'll be surprised if this doesn't podium. This is by far the strongest list at the event - especially in the context of the field. Three cannons? Check! Two units of Monstrous Cavalry? Check! Another warmachine just in case? Check! Good magic lore? Check! Solid infantry bunker? Check! Cheap throwaway high armour save units? Check! Still enough points for a Steam Tank? Check! If Joel doesn't win Runefang with this list, well let's say I'd be very surprised. Down in the village, the Seers are stirring! Yes! That is what you think it is. The Ulthwe will rise again. 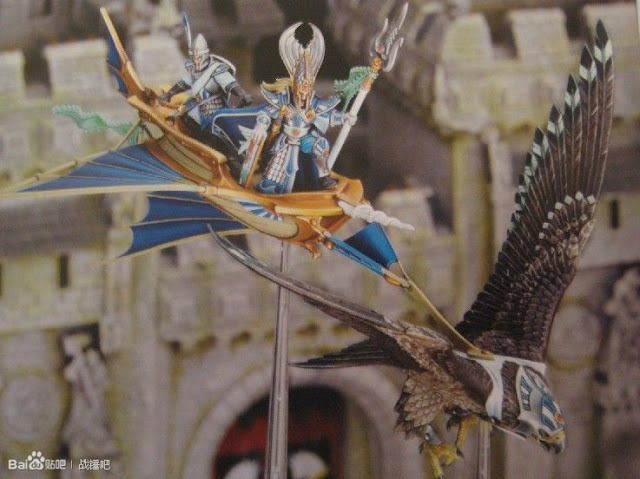 White Dwarf New High Elf Pictures - The Elves Are Back! 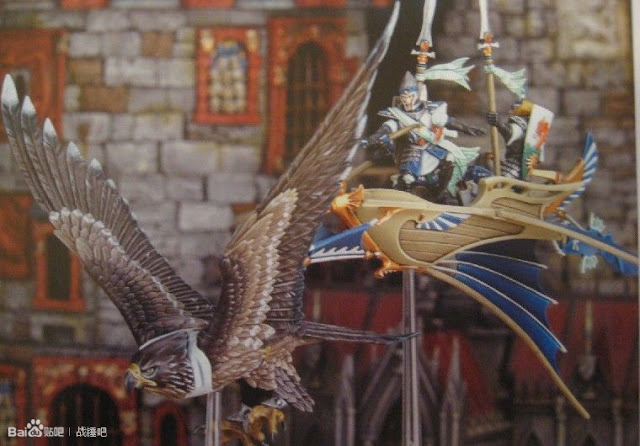 Okay Warseer has pictures from next month's White Dwarf. As expected we have the release of 8th Edition High Elves. The pictures are posted below. Been a bit quiet on the blog front this week but have been powering away on the hobby front. Finished tidying up the Orc army I bought at Easter. It now has new Sarissa movement trays all in keeping with the models' basing. Surplus to requirements were 15 last edition Boar Boyz and they have headed north to a new home. The Orcs are a great fit with Jack's Night Goblin Horde and together provide about 5000 points of painted Greenskins. I been putting together models recently arrived from the USA. A box of Skullcrushers, a Flaming Chariot of Tzeentch, an Exalted Chariot of Slaanesh, a Gorebeast Chariot are now assembled and waiting in line for paint. The first off the rank will be the Slaanesh chariot which I've started painting together with a baby Slaanesh chariot and a Hellflayer. In between time I have been painting old metal "Big Hand" Horrors. I finished 24 last night and I am now basing them allong with the existing ones I had. When they are all done I'll have 55 of the little rascals. Hopefully get some pics up this weekend. Speaking of this weekend, I've got two games arranged. My regular Saturday game vs. Mike and on Sunday morning I'm playing Ryan Lister's Vampire Counts.I'll likely give some arrangement of Daemons a run. 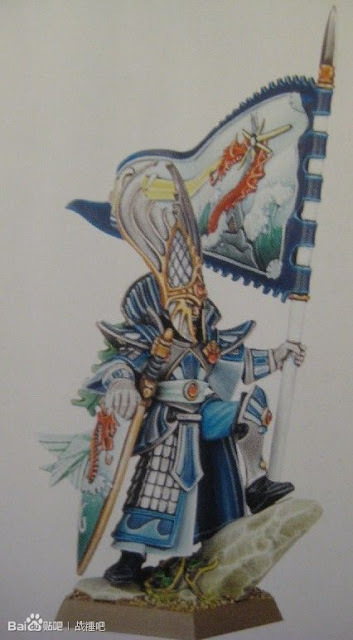 I'm also patiently waiting for Runefang VI Umpire, Peter Williamson to release the lists for next week's event. Runefang has attracted 28 players and my calculations suggest 14 different races. Unfortunately it looks like there could be four Dwarf armies present, as well as Sam's Chaos Dwarfs. You got to give it to them, they are gluttons for punishment....or too stupid to know better. Adepticon is on this weekend and by all accounts it's set to reinforce its status as the world's premier wargaming convention. Four days of gaming, seminars and trade stands sounds like nerd heaven to me. This got me thinking. I'm keen to tick this event off my list and wondered whether there was any other New Zealand interest in attending Adepticon in 2014. The convention has both Singles and Teams Tournaments in most genres - including 40k and Fantasy but also Malifaux, Warmahordes etc. 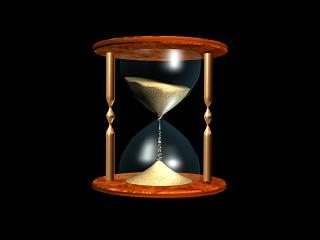 Planning would need to happen pretty early - effectively once this year's event is finished. However I'm sure given the potential travel distance we could look to secure some early tickets. Anyone interested should let me know. Dave Witek from Garagehammer has joined forces with Greg Dann (@ChildofFang on Twitter) to produce the "After Ullanor" podcast. Put simply this is "Book Club" for the Black Library Horus Heresy series of books. Each episode focuses on one of the books and explores the story, looks at the characters etc. The cast works quite well as Greg is a Horus Heresy nimrod while Dave knows nothing about the Heresy other than what he reads in the books. First episode was a scene-setter where they looked at the 30k universe before the Heresy and the podcasts proper start with "Episode One - Horus Rising". You get download them free from your normal podcast provider. 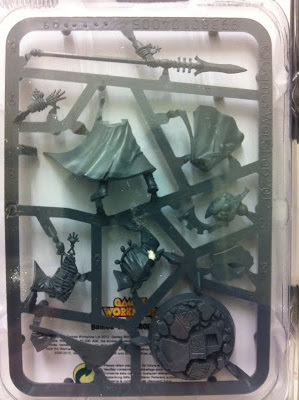 I'm hoping they'll do some "specials" looking at some of the Forgeworld material as its released. On the weekend I played Mike's Lizards and thought I'd give the Daemons I've been painting a run. In the end the game was around 1000 points up to me but at various stages it could have gone either way.I was effective in clearing out Mike's chaff by declaring charges and getting them away from the Slaan's Ld when attempting to rally. I lost the GUO on Turn 4 - very susceptible to poison shots - but picked up the Slaan Turn 5 when Flesh Hounds and Plaguies took him down. The Skullcannon misfired Turn 1 and died Turn 2. The main interest we had going into the game was the effects of the Reign of Chaos table. The first two turns I rolled "10" which increased my Ward Save by +1. The effect there was small - saved one PB from dying.In the other four turns, I rolled one "7" - nothing - and three results where Mike's unengaged had to take effect on a "6". Only one "6" was rolled total and the Khorne effect scattered harmlessly. Mike thought the Plaugies were a devil to shift but they put out little damage. Most of that was coming from the unit of 4 Beasts who got a flank then a front on Saurus Warriors. The Str 5 makes huge difference. Really liked the Flesh Hounds. A lot of people have written them off but I think they are very very useful. Here is a new Kickstarter I supported this weekend. It is by Secret Weapon Miniatures and is seeking the funding of tooling costs to produce a modular gaming board (similar to GW's Realm of Battle). The tiles are 1' x 1' clipping together to make a battlefield. This thing took off. It started Saturday and within 28 hours had been funded. The initial set is for Scrapyard tiles - pictured - but the stretch goals will unlock other themes. The second set is Urban Streets and I am very keen to pick up that set for my 30k gaming. Further sets to be unlocked are Generic (fields or desert), Ruined Temple and Trench Works. There is also talk of Alien (Tyranid) Landscape and finally Factory/Railyard. I jumped in on the Earlybird Wargamer level which gives me 32 tiles. The price for this was USD 225 INCLUDING shipping to NZ. From this I can have an 8' x 4' board. Tying down the shipping is key to these Kickstarters and this one is excellent as it has a standard price. For once NZ is not being screwed by the tyranny of distance. If you compare to the GW product it is about 50% the cost. I love my GW Realm of Battle boards (I have 2.3 of them) and if these are similar I'll be very happy. 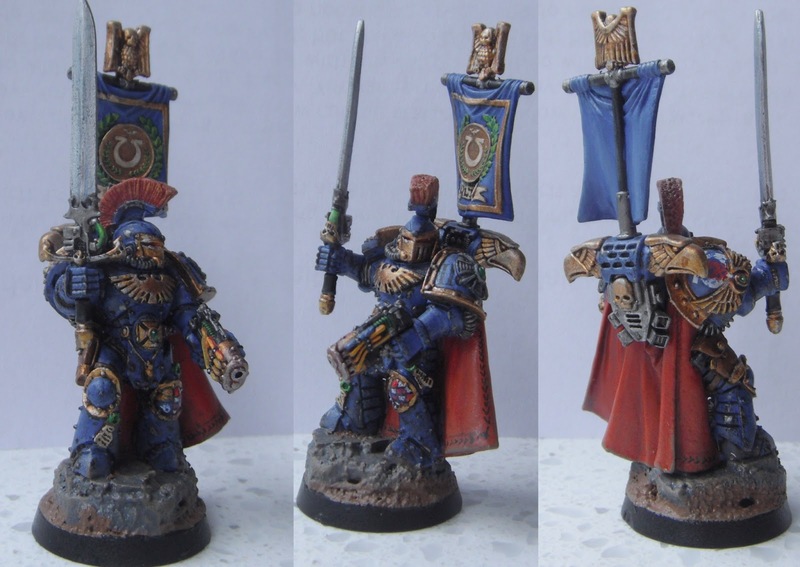 Hagen Kerr has sent in pics of his Ultramarines Captain. Clearly he doesn't want to miss out hanging with the cool kids. I'm pleased to announce that I have set a date and secured a venue for the 2014 New Zealand Teams Championship for Warhammer Fantasy. 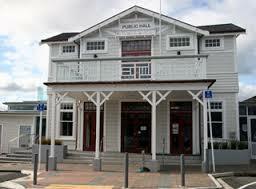 They will be held on the 1st and 2nd March 2014 in Wellington. 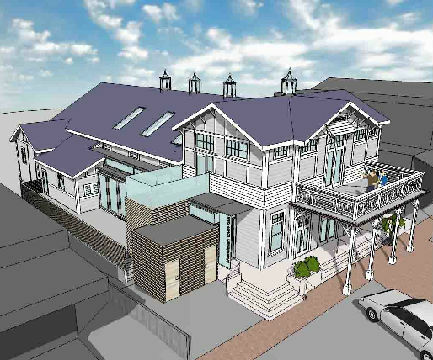 The venue for the NZTC will be the newly refurbished Khandallah Town Hall in the centre of Khandallah. 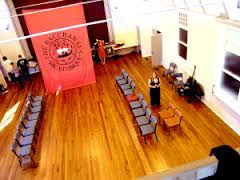 The hall has just celebrated its centenary and has undergone a multi-million dollar refit. It is a larger hall than that which was used this year. I am hopeful that we will be able to accommodate 16 teams (64 players). This is based on the expected increase in demand given the very positive reviews from this year's event. A larger venue comes at a higher cost (more than twice what I paid this year) as the hall charges commercial rates even for community groups. This will require a slightly higher entry fee - $200 per team of 4 ($50 each) rather than this year's $150. I'm hoping people understand this and that the aim is to ensure a high quality venue, trophies etc. The hall is next to 2 cafes, 2 takeaway shops and has a pub within 50 metres. I will be looking to organise a function at the pub on the Saturday night to ensure that there is the requisite amount of socialising! I found the following information on line. As I understand it, the information was included in the material Games Workshop presented as part of the Chapterhouse lawsuit (GW are suing CHS for copyright infringement). I'm going to make the assumption that these are USD and relate to sales in the USA. 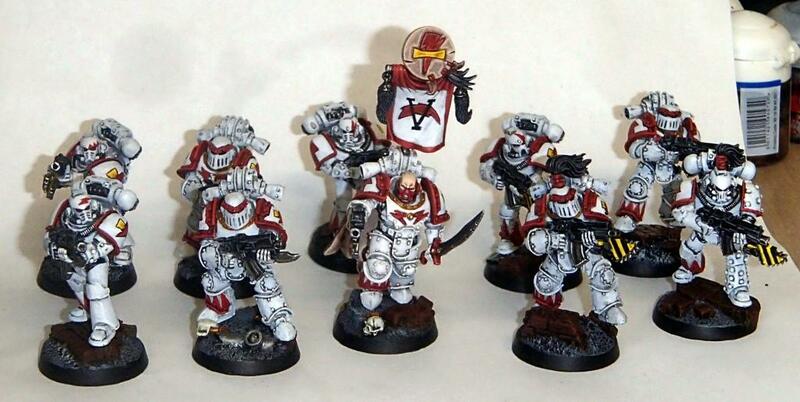 It looks like Space Marines really need a new codex....the last version was major flop. One of the things that has always struck me as retarded strange, is the UK's preoccupation of seeded tables at tournaments. Whether it is Fantasy or 40k, the highest two points-scorers going into a round are drawn against each other (assuming they haven't played already at event) to play on Table #1. This continues round by round so that potentially a player could play all their games on the same table - certainly this does happen regularly on Day 2 of an event. I want to look at two "why" aspects of this. Firstly, why this isn't a good thing and secondly, why this happens at all. Even a brain dead monkey can see that continually playing on the same table gives the incumbent an advantage. They have had the experience of playing the tables fire lanes, chokepoints etc and this provides a potential advantage when picking sides and in deployment. Admittedly, pre-measuring has reduced this advantage but it is still a key factor in 40k, slightly less so in Fantasy. A random table means both players have equal time to assess these variables. This is further compounded by the UK tournament scene rejecting scenarios. At least changing the scenario would put more pressure on the incumbent to adapt, moreso than continual Battleline on the same table. What I don't understand is why the terrain is never readjusted. So why do UK tournaments continue to implement such a sub-optimal system? Probably habit - never assign to subterfuge what you can ascribe to laziness. I suspect that having a system that assigns tables on ranking is easy for organisers. It does away with having a draw programme that also assigns a random table. I'm not sure what software they use but even Overlord (developed in 2003/04) had the functionality to create a seeded draw that assign a table that neither person had played on before. For small events this can get problematic in later rounds and Overlord allows you to turn function on/off if necessary - typically in 100 person events this won't eventuate. The second reason is for want of a better word "pride". You listen to UK Podcasts and you'll hear people saying "well in Round 3 I was on Table 2" and wearing it as though it is some kind of badge of honour. Give you a clue guys, if you're that concerned you should focus you eyes on the only badge of honour that matters - where you finished. What's strange is that they need seeded tables to tell them where they rank throughout the event. Don't organisers post the draw with Battle Points on them....again it seems a simple fix. In the end it just seems another example of squeezing any variability out of the game. No scenarios, simple terrain and now fixed repeat tables. I'd get bored pretty quick. Updates and news from the site will be tweeted from this account in future. You should add it to your "Following" folder if you think it will be of interest to you. This will leave my personal account free for rants about sport, politics, wargaming and the youth of today. Ben Johnson's list? No. It's the Polish ETC list from 2011. In action eight months before Ben was credited with "inventing" it. To my knowledge Ben has never said he created it but others have and it becomes accepted wisdom. This myth is then propagated by blogs, forum posts, Twitter and podcasts. A lot of people looked at that list and realised it or variants of it would work. Ben's? No, the Latvian 2011 ETC list. Again in use eight months before it's supposed "invention. For some it is easier to ascribe it to some "celebrity". Ben Johnson's list sounds a lot better than "That Guy From Latvia" list, doesn't it? Those who did their homework - including Ben - post 2011 ETC saw how effective the list was and built their own version. These guys make great movement trays at the most competitive prices available and with a fast turnaround. Last weekend I checked out their store and saw that they didn't have a tray for Plague Drones - 50mm x 75mm Skirmish. I contacted them and they were back to me with a product and price within 24 hours. Can honestly say that there is not a better supplier of movement trays on the net. The Bad Dice Podcast (www.baddice.co.uk) has done a very nice review of the Vampire Counts. You can download via iTunes or via their website. It is a comprehensive runthrough of the book with Chris Legg, a UK ETC player. Nothing earthshattering in the way of new insights but it should reinforce what a lot of people already know about VCs. Of course I'm sure that some people will now say Chris invented a VC Lord with Quickblood, Red Fury, Talisman of Preservation, Ogre Blade and the Other Trickster Shard because they heard it mentioned on this podcast. Similarly they'll also credit "invention" of Baby Vamp with Sword of Anti-Heroes and Quickblood to this podcast. Unfortunately for that theory sweeties, anyone who can read worked that out within an hour of picking up the book. It includes a very good discussion of merits of Necromancer Lords vis a vis a Lvl 4 VC caster. 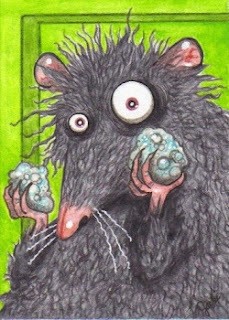 I should have known it was going to be a difficult day for Skaven when I got up and found a dead rat just outside the bedroom door. Nurgle the Cat, in a surgical strike, had killed it with a bite to the thorax and brought it inside as a warning. His brother Spike had helped by chewing off the rat's right ear. Down to the club and I played Hugh Dixon's Daemons of Chaos. First turn magic phase everything largely okay but then the niggles started. The Doomrocket fell short and the Warplightning Cannon failed to wound. Roll on my second Magic Phase and rolling three dice, Seerlord Morskitta miscasts and suddenly finds himself bewildered with no more magic awareness than a lowly engineer (lost 3 levels). It's still okay as rats are doing what rats do and raising two claws to all the haters out there. Now if you have never seen what happens when you roll APOCALYPTIC DOOM for your Bell round then, bless your whiskers, you have missed one of life's great tragedies. The Bell itself is destroyed and all models within 4D6" (in this case 16") take a Strength 4 hit with no armour save. It's not nice and I know you all share my pain. A lot of these "accidents" have been happening lately and the Seerlord has instituted an inquisition inquiry into what is happening. Finished my first three Nurgle Plague Drones today, with three more to do once they arrive. Grabbed some photos while they were outside drying. Sunshine overexposes them but you get the idea. 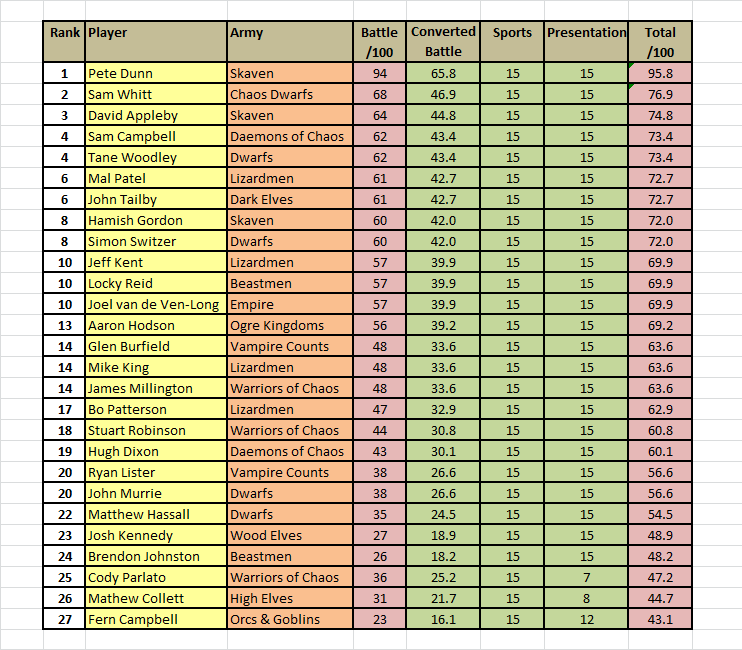 We have added a new icon to the Fields of Blood NZ Rankings. Now the person who plays with the greatest number of different armies at the tournaments they attend will earn "The Changeling". James Brown is the Inaugural Holder for Fantasy and Haydn Korach for 40k. More in keeping with the background fluff, the icon for most 40k events attended has been renamed 'Rogue Trader". Some People Always Spoil Others Fun By Bringing Dwarfs. Hell of a Way To Spend Easter. You can check out the rest by clicking on the link. Just a heads up for Tau Empire builders. It looks like GW have miscalculated the demand for the new Tau and have not manufactured enough. Their international websites and their big (USA) trade operations are telling mail orderers and gaming shops that there will be a 3-4 week delay in supplying product. Most US game shops are only getting the codex. 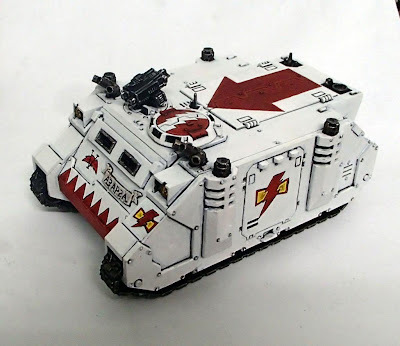 Of course the internet conspiracy theorists have gone mad and are suggesting that this is another scheme from GW to force people into their shops. Indeed some are saying there isn't a shortage at all but this is a beatup by GW to scare people away from non-company Hobby Centres. It does mean that should you be sourcing product from offshore via a US/UK reseller or via eBay then there will be delays. I'm not sure how this impacts those eBay auctions already listing new Tau but I guess there may be "problems". Unknown if it affects local gaming shops and mail order. However if it does then the local Hobby Centre may be your only source this month. A reminder that Runefang VI is just over three weeks away. At present there are 26 registered for the event. Look forward to seeing a few more of you along. This is the second in an occasional series looking at the 8th Edition Army Books and the race specific magic items they contain. Generally I think you find that the Common Magic Items found in the rulebook offer better utility but the race specific items can offer something you otherwise would get. In the Vampire book there are 3-4 items that I could potentially see myself using. However in most cases these direct you towards an extreme build to achieve maximum benefit. Two items that fall into this category are Skabscrath and Banner of the Barrows. Skabscrath is best in a list that maximises the number of Death Shrieks but at 75 points is expensive and leaves little in the way of protection for your Lord. The Banner of the Barrows gives wights +1 to hit but requires a significant points investment in the base unit to best utilise. It is further affected by the low number of attacks wights have. 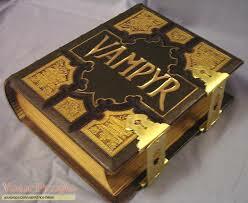 So for me the best Vampire Counts Magic Item is the Book of Arkhan. At 25 points it is relatively cheap although it does take up an Arcane Item slot. What do you get with the Book? A Bound Level 3 casting of Vanhel's Danse Macabre. The spell moves one unit in the Magic Phase and gives re-rolls to hit in the combat phase until caster's next turn. This is a great item to drag out Dispel Dice. You can throw one die at it and get it off 67% of the time. However once you've got it off your opponent is torn between using one or two dice to stop it. If he only rolls one then it goes off a third of the time. On an important combat your opponent can't take that risk and so will throw 2 dice to stop it. Alternatively you can keep it until last knowing you'll only need one die to get it off and that will impact your opponent's defense throughout the Magic Phase. Especially if you make it known that you have the option. So a relatively cheap item but one that acts to enhance your other strengths. Well worth 25 points if you have them available. Well they are falling by the wayside. 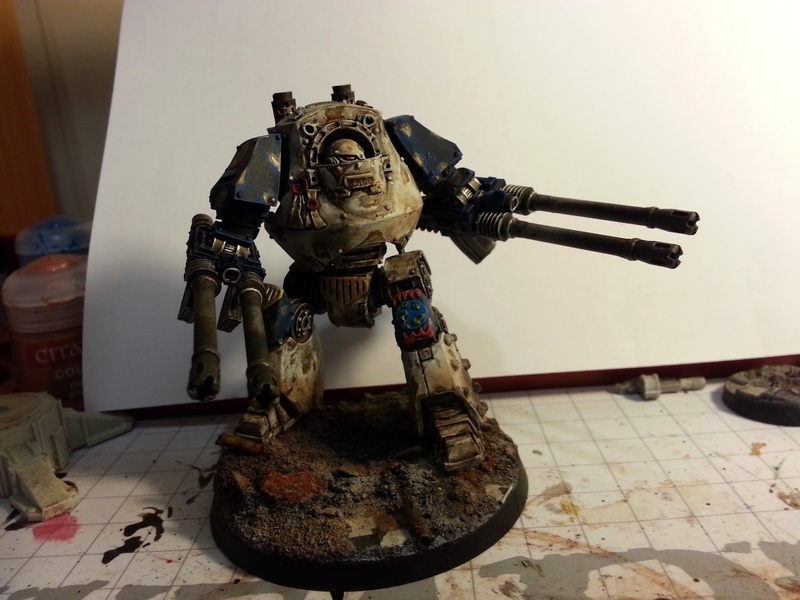 Glen has submitted a RG Dread, continuing in his "Flight of the Raven" theme portraying the rout on Istvaan V.
David has submitted a Contemptor Dread for the World Eaters. James has finished his first month's Legion Tactical Squad and also a rhino for the unit. And very nice they look. 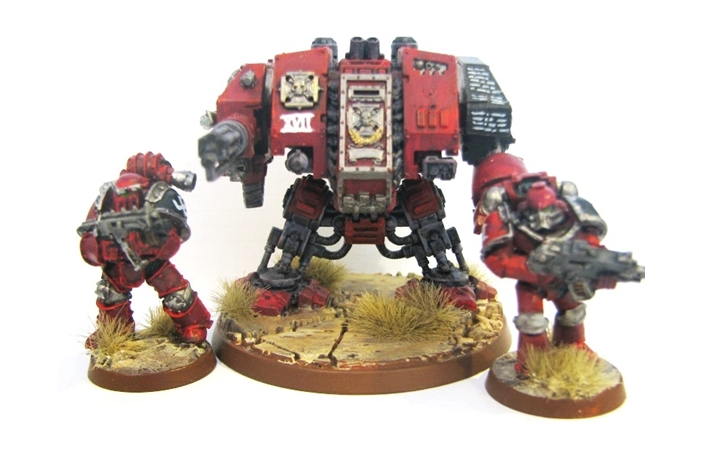 Dreads are very popular this month and John has added a Dread to his Word Bearers. Heavy Support Squad for Alistair's misguided EC "loyalists"
Hagen has caught up on his first month's squad with some Ultras. Hopefully others are just running a little slow and I'll get more submissions. This Saturday (April 6th) is the monthly Warhammer Fantasy day at the Warlords. 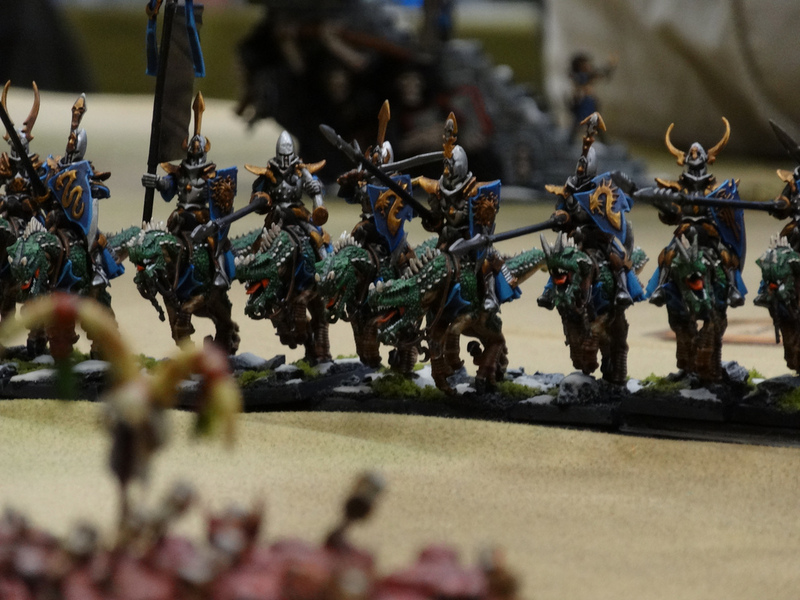 All local gamers are invited along to participate in Warhammer Fantasy games. I'll be there with a 2400 point army and you will be guaranteed at least one game if you can attend. If you are likely to make it along I can be contacted on pete@thefieldsofblood.com and I'll do my best to schedule you in some games. Over the past month I've been painting up new Nurgle Daemons for Fantasy. On top of two blocks of 30 Plaguebearers, I have done a Great Unclean One (my FW one being two big for normal play), Epidemis and 6 Beasts of Nurgle. This is the Scibor model I picked up from Maelstrom's going out of business sale. He just fits on a 50mm base. The photo has heightened the oranges which aren't quite that bright. The GW BoN are truly awful figures. I decided to use Forgeworld's Plague Ogres. A lot of people use the Plague Toads but I wanted to try something different. Very happy with the rusty swords. As part of the "Tale of X Gamers - Heresy Edition" here is my second unit. They are the Deathshroud, a Terminator unit that always has at least two members accompanying the Primarch, Mortarian - and never more than 49 steps away. This unit was a bugger to do as I stuffed up the oil wash twice, requiring full repaint. Thanks to Charlie for helping me the last time. 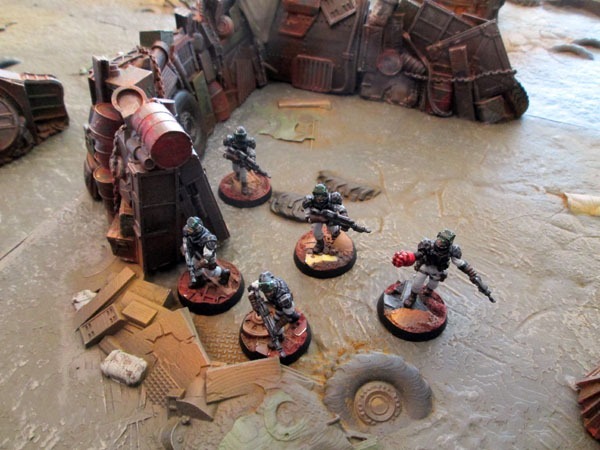 I'm happy with how the rust came out and the bases reflect the extreme environs in which the Legion operates.